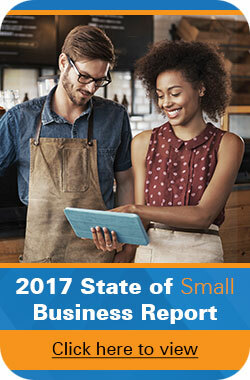 In the current state of the economy, some small business owners have implemented creative measures to cut small business costs. In order to maintain your competitive position in the varied business landscape, here are four easy and unexpected ideas for reducing business costs. Processing invoices can be an expensive and time-consuming function for any business. In fact, the cost of processing an invoice can range from $4 to $14. Being able to process invoices quickly and accurately is an important element for success. Most businesses operate by giving their clients either 30 or 60 days to pay invoices; however, the longer your payment term, the higher your borrowed costs are going to be. Changing your billing turnaround period to 15 days can make a substantial improvement in cash flow. If you haven’t been able to collect from an individual or company for an outstanding invoice, you need to continue following up regularly until payment is received. Lack of payment could cause your business to potentially operate in the red. As you likely already know, advertising is an expensive endeavor that doesn’t always pay off. Sometimes when you’re trying to spread the word, you have to be creative to see benefits without all the expense. There are a number of ways to promote your business without using television ads, billboards, and radio spots. Whether it’s a guest blog from a notable person in your industry, a partnership with other local businesses, or YouTube corporate videos, the work is worth the effort for promotion and showing your company as a thought leader. Social media is another great resource for promoting your business without necessarily spending a ton of money. In fact, in a recent study reported that 81 percent of SMBS are currently using social media to drive business growth and 94 percent are meeting marketing objectives through social media. Small businesses are seeing value and benefiting financially by using these lower cost marketing tools. Think asset tracking is unnecessary? Think again. Asset tracking can save your organization thousands of dollars – or more – depending on the size of your company and the number of assets you have to track. Due to inefficient processes, The City of Dallas’ Department of Intergovernmental Services was spending a lot of time on asset reporting and losing money on misplaced assets. They now utilize Wasp’s asset tracking solution, MobileAsset, to ensure mission critical equipment is properly maintained, to complete annual audits for grant funding compliance, and to save time, money, and unnecessary asset spending. With asset tracking from Wasp, you can easily cut costs, save time, and relieve unnecessary stress. At times, small businesses are faced with the difficult task of having to cut costs; however, cost cutting doesn’t have to mean eliminating staff or discarding valuable supplies. Instead, cutting costs can be achieved by making systems more efficient, taking advantage of valuable resources, and tracking business assets. Visit the Wasp website for more information about tracking your assets and saving your business money. I was advised by your technical support team they would not send me out a replacement unit to replace the faulty one. Instead I have to “mail it in” and “wait for another one to arrive”. Our ware house will be without a critical function for one to two weeks, because it is your policy to not practice what most vendors do – send out a replacement along with a RMA label to ship back the broken one. This policy will have an impact on which brand we decide to buy for our other offices as we go live with bar code scanning. GE – I apologize for the issue & have escalated the situation to the appropriate contact. You should be hearing from them directly soon. I must also apologize for the delayed response as I was out of the country for the past week. If you do not receive a satisfactory response, please contact me directly at jsentell@waspbarcode.com. All the best!